BIME LIVE, Southern Europe’s biggest autumn festival, reveals the first wave of acts for 2019. Since the inaugural event in 2013, the Basque Country festival has become an essential date on the festival calendar, thanks to its forward-thinking and diverse programming. Taking place from 1-2 November at BEC! in Bilbao, this year brings performances from Kraftwerk, Amaia, Carolina Durante, Mark Lanegan Band and many more. 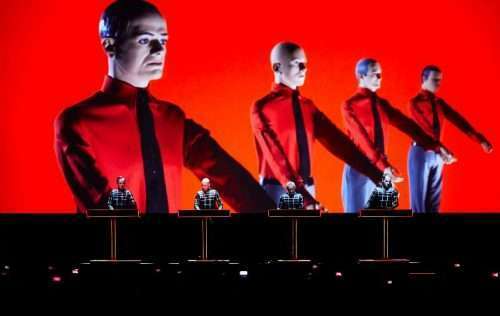 German electronic music pioneers Kraftwerk are set to headline with their spectacular 3D set-up after a triumphant tour of the world’s top contemporary art museums. With their visions of the future, Kraftwerk created the soundtrack for the digital age of the 21st century. Their compositions, using innovative techniques, synthetic voices and computerised rhythms, have influenced an entire range of music genres, from electronica and synth-pop to hip hop and techno. Breakthrough Spanish artist Amaia, who at only 19 years won over the entire country with her voice and charisma, also joins the line-up, along with Carolina Durante, a four-piece Madrid band whose blend of punk rock and noise pop turned the Spanish music scene on its head in record time, with a series of unquestionable hits and sold-out shows. BIME LIVE will also receive Mark Lanegan, former Screaming Trees and Queens of the Stone Age front-man who has spent more than two decades reinventing himself as a solo artist. In May, he will release a new album that we can enjoy at BIME LIVE. Composer and programmer Aitor Etxebarria brings a rare live performance to BIME LIVE, presenting his new album. It’s a very special opportunity to enjoy his post-rock landscapes with minimalist backdrops and a certain eccentric touch. Finally, the Bilbao festival is joined by Banpiro Maitaleak (the vampire lovers), the partnership between Mursego and Amorante in a very special format in which both artists’ repertoires are blended together for a joint live performance. Two very profound visions of music in a show they have performed on very few occasions; this is the only date this year when it will be possible to see this act. A real gem. With past editions playing host to the likes of Aphex Twin, Four Tet, Jon Hopkins, José González, Nina Kraviz, PJ Harvey, Slowdive, The Chemical Brothers and many more, BIME Live has rapidly established itself as an essential Autumn festival. There’s lots more still to come for this year’s edition so watch this space for further additions coming soon. The dates have now been set for the seventh edition of BIME PRO. From 30 October to 1 November the BEC! (Bilbao Exhibition Centre) will become a hub of creativity and networking for the international music industry, with the latest musical trends and innovations on display. BIME PRO will feature 3 days of insightful talks and panels from leading industry professionals, along with a series of sub-conferences: BIME PRO Fests, which focus on the festivals professional sector; BIME PRO Start Up! Competition, fourth call to young entrepreneurs; BIME PRO Campus training course; and the BIME PRO International Videoclip Challenge, which brings together new audiovisual content creation and management talent. What’s more, BIME CITY is set to pack out the main venues in the Biscay capital with a selection of the best national and international emerging talent. Fresh Island 2018 – exclusive offer!